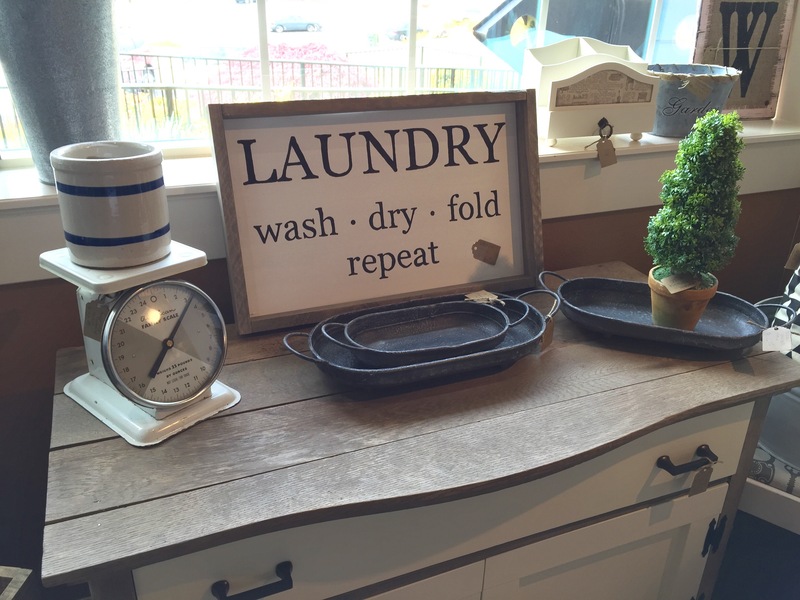 Come see us this week at the store! 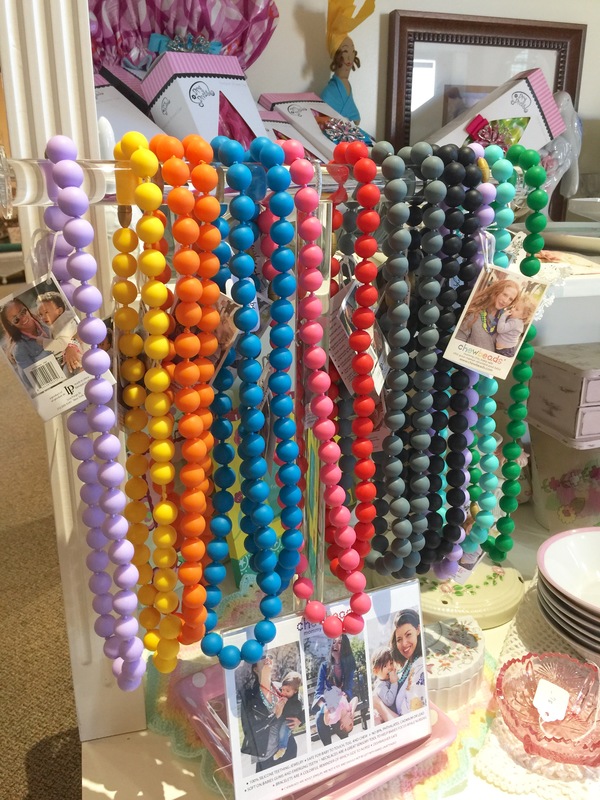 These teething necklaces are perfect for you and your little. Fashionable and it helps soothe your baby through the difficult teething stage! 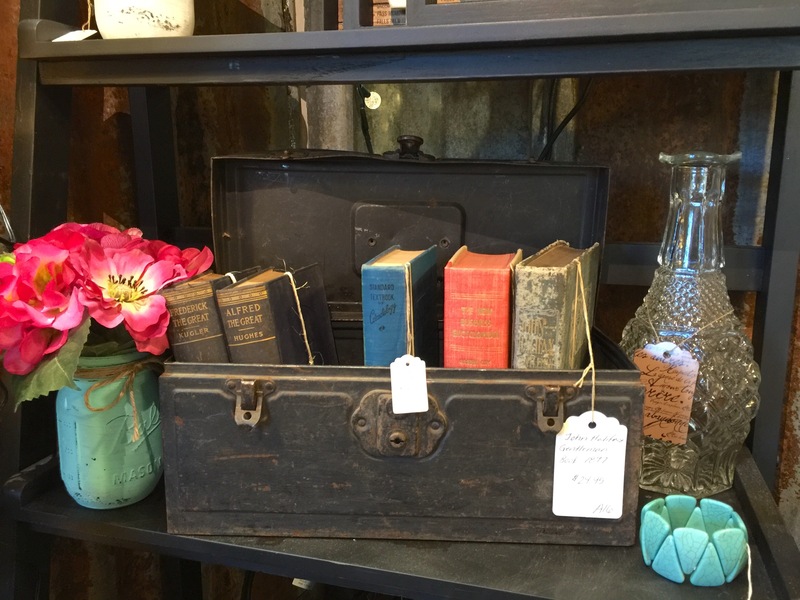 We love old books and we have lots of them here at the shop. 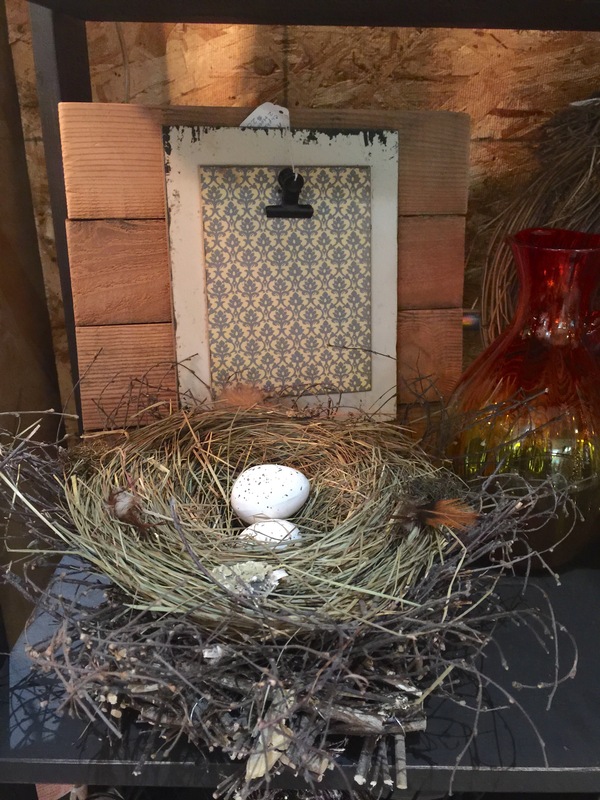 They are great for decoration and making your home cozy. Have a party coming up and you need some time of serving platter? 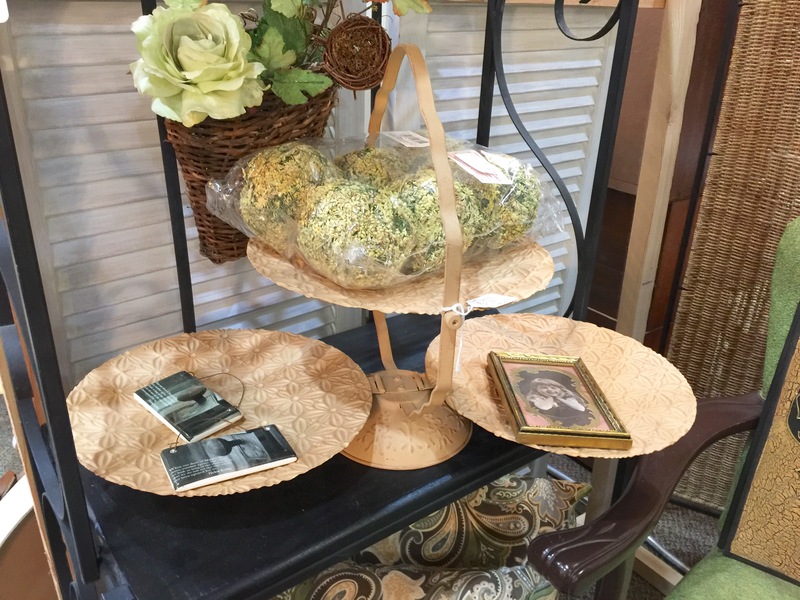 This three tiered stand would be great for your cookies or crackers! And when you aren’t having a party use it as a centerpiece. 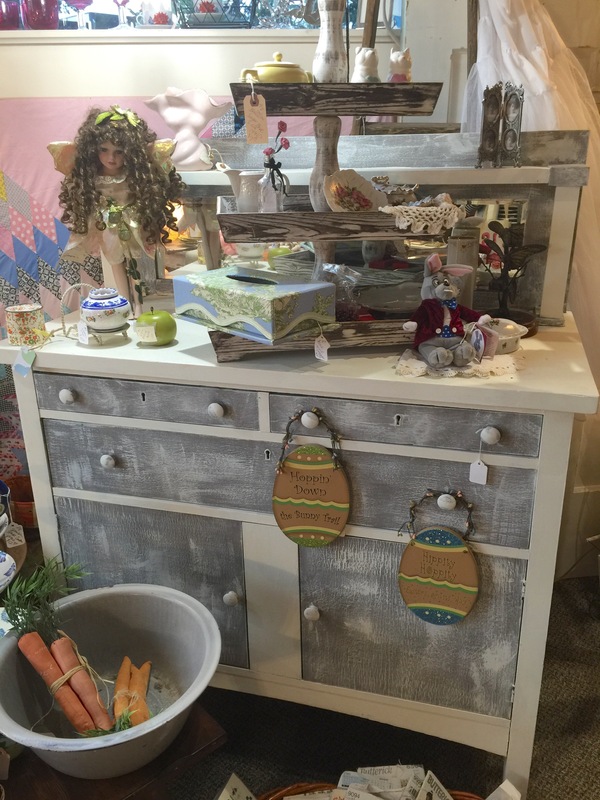 How fun is this skinny and tall dresser? Put it in your bedroom or use it in your family room to hold the DVDs! 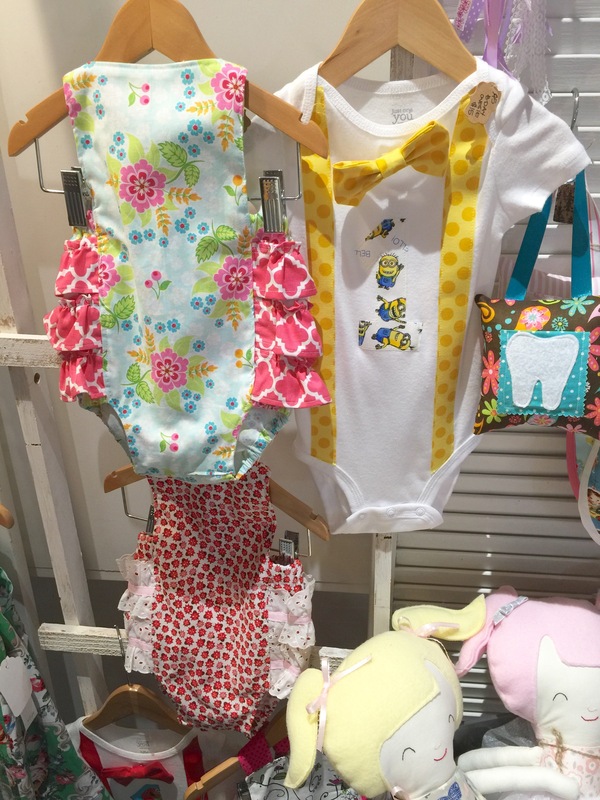 These baby shoes and bibs are so adorable! Would be a great baby shower gift! 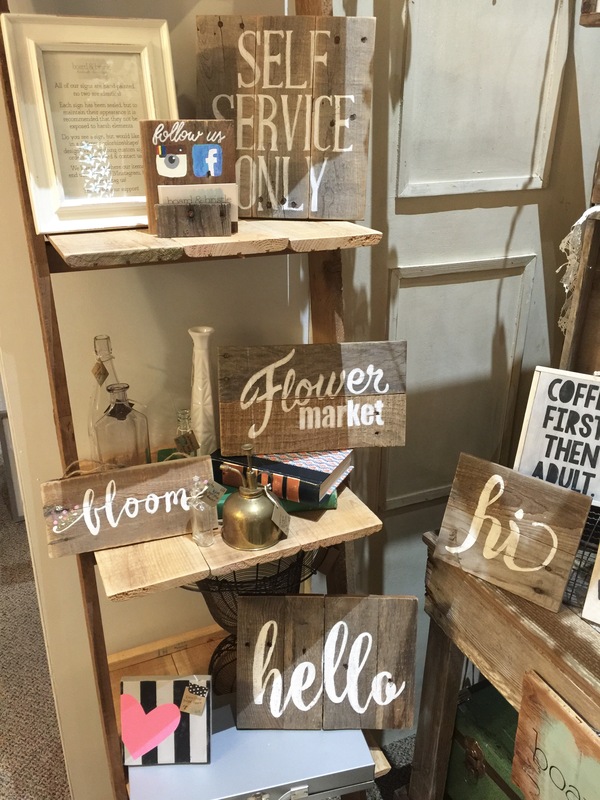 Rustic wood signs are always a great idea for decor. 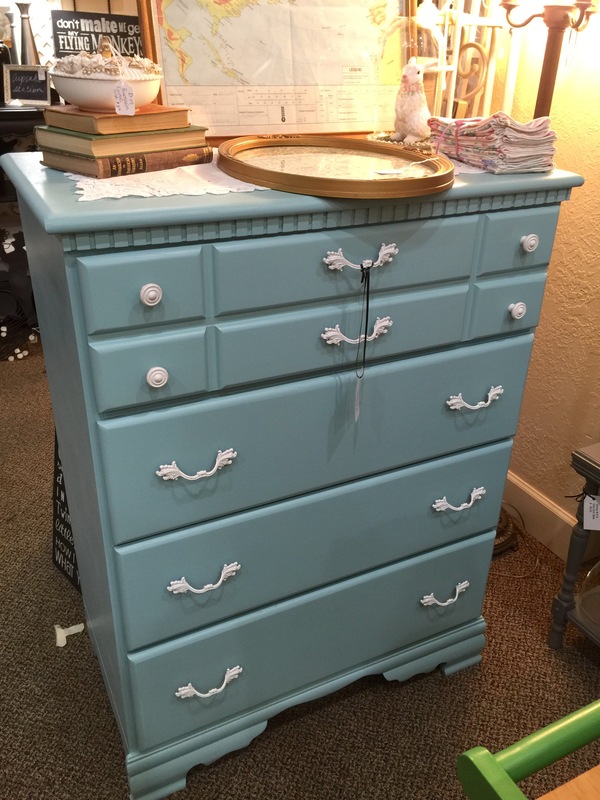 This turquoise dresser is so bright and cheery! Use it in a nursery or your kids room to add a fun, bright pop of color. Who else is loving this sunny weather? We hope you were out enjoying it this weekend! 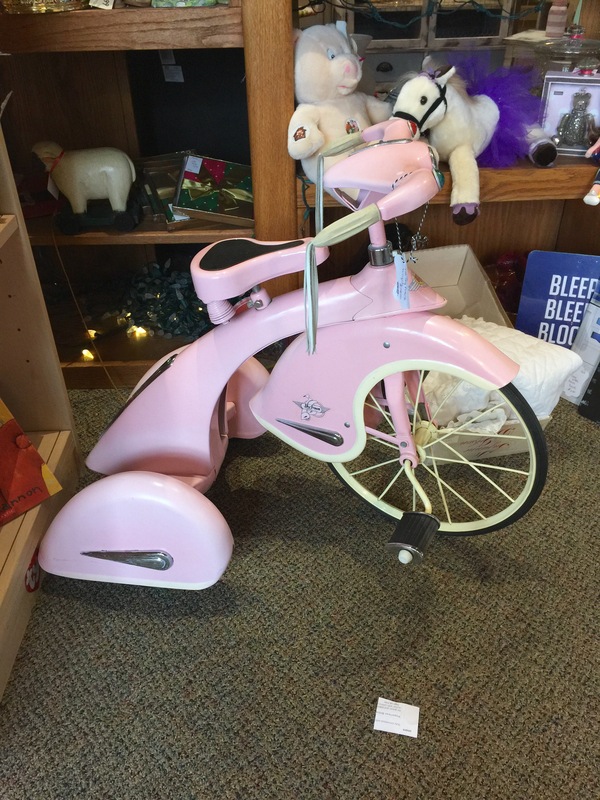 Any little girl would love this adorable pink bike! Would be such a great gift. 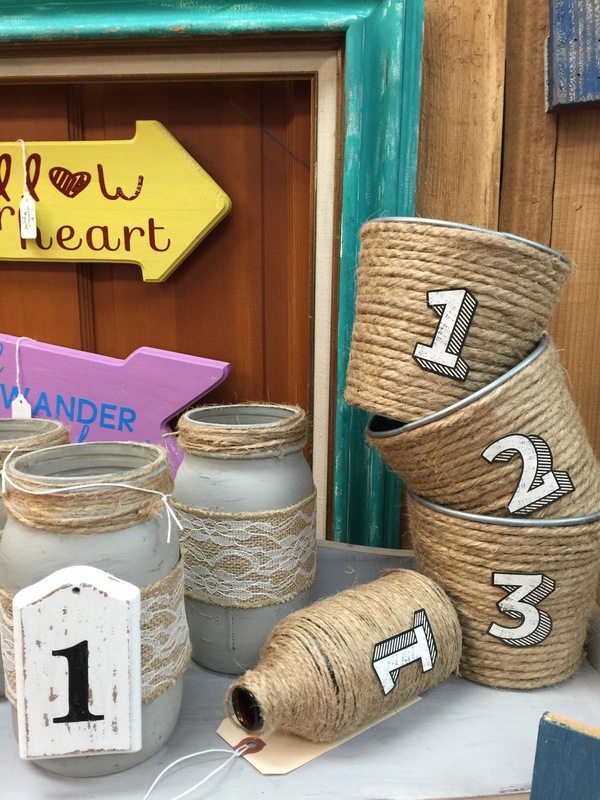 Add some plants to these numbered pots for spring! 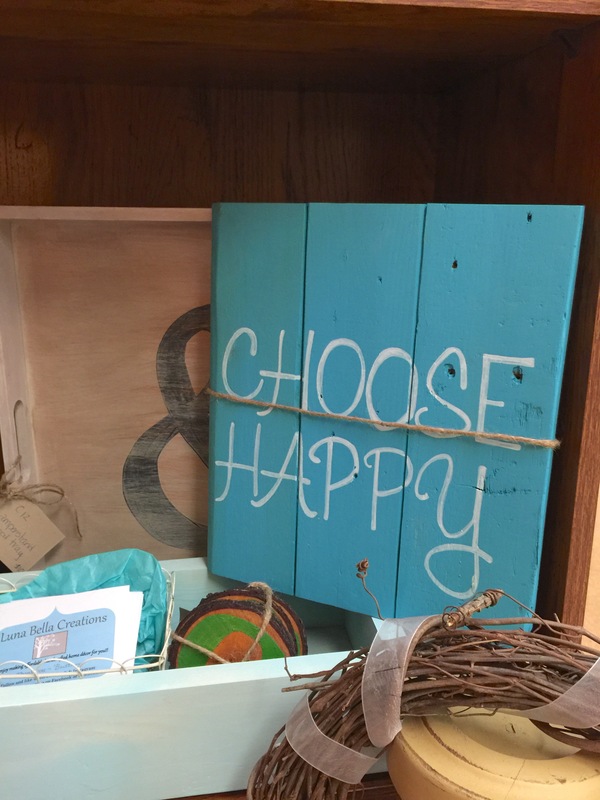 Always choose happy. 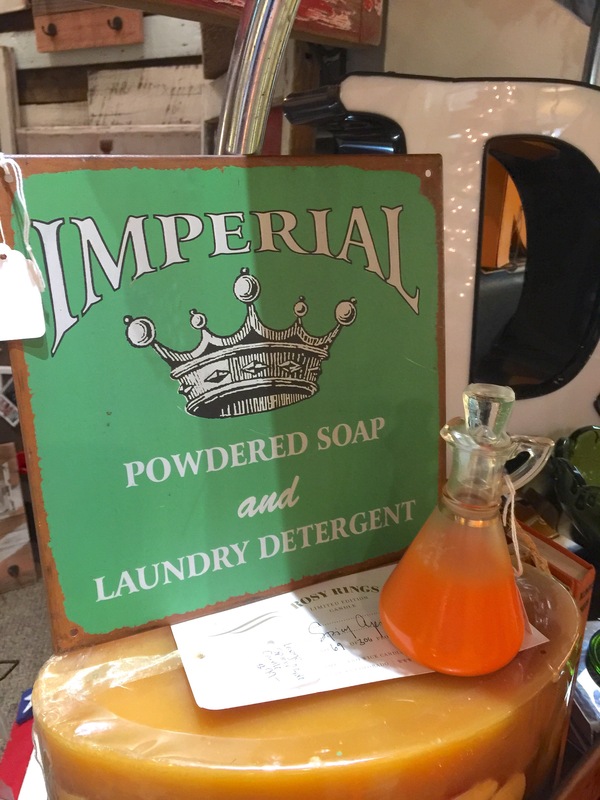 We love signs and there are so many to choose from here at the store. 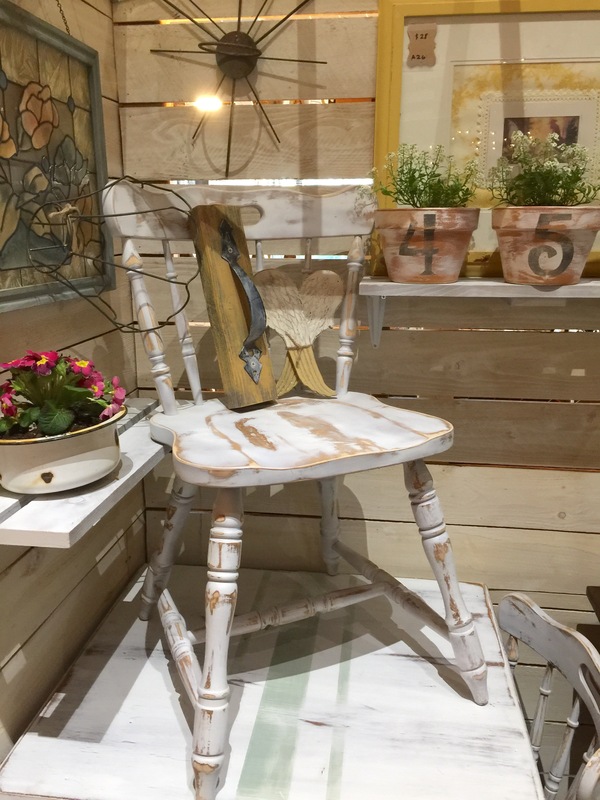 This shabby chair would be a great addition to your reading nook or would be perfect for your office chair. This cute sign has a clip on it so you can hang notes or your grocery list so it’s always visible. Great idea for the kitchen! 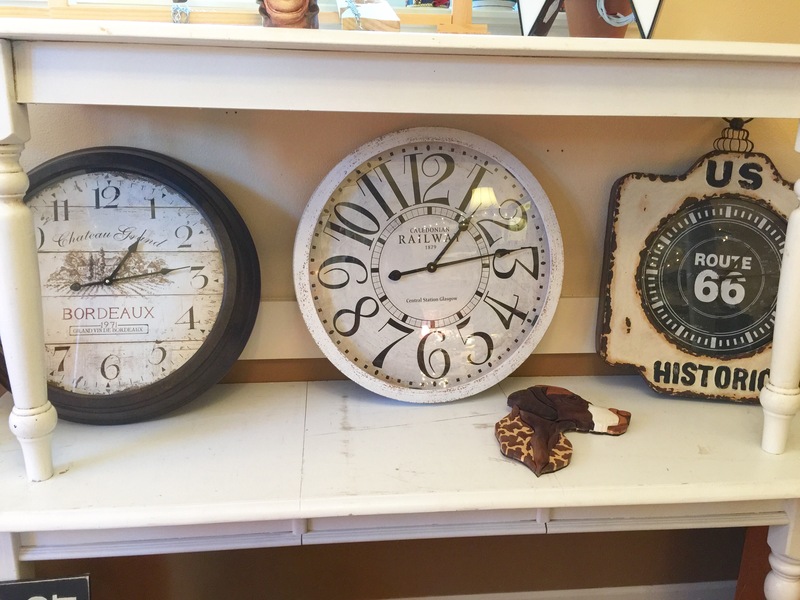 We love clocks! And these two are big and would look great on you wall! 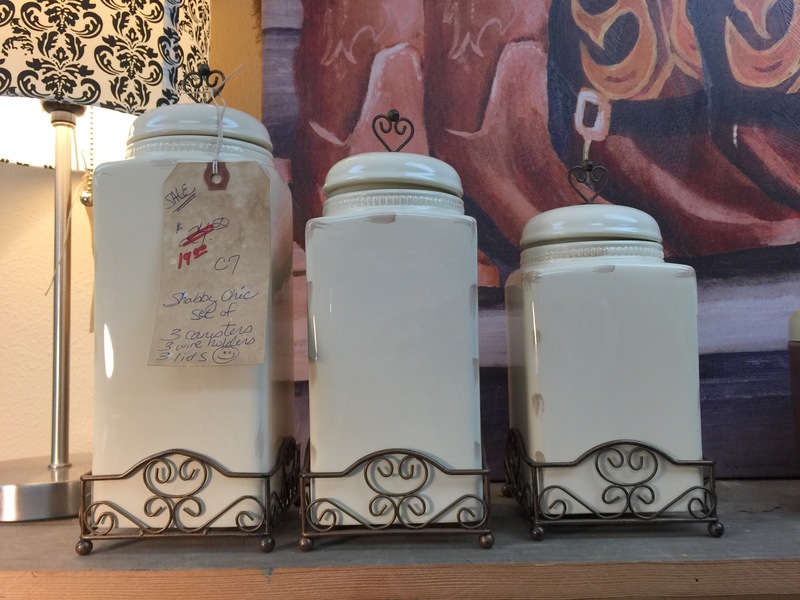 Pick up this canister set for your kitchen. Great storage! Happy Easter everyone! We hope you are having fun hunting for eggs and enjoying you Easter dinner. 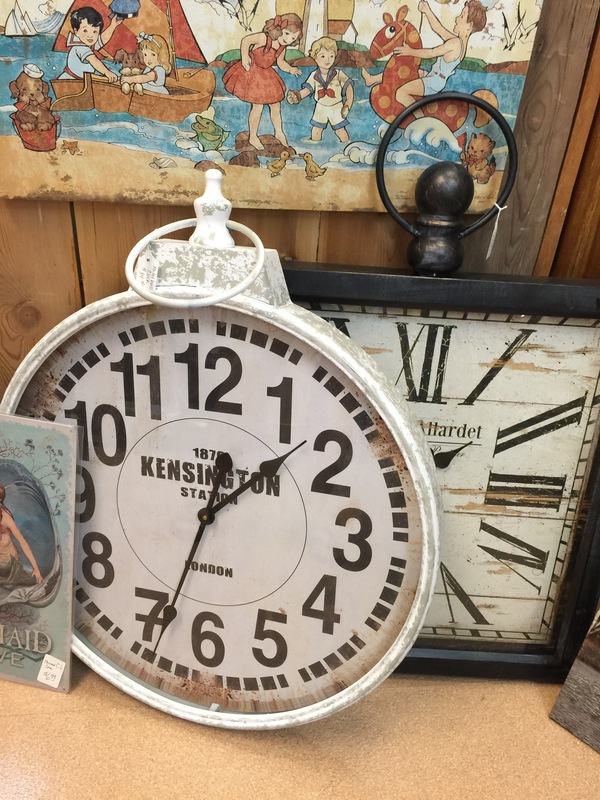 Looking for a wall clock? 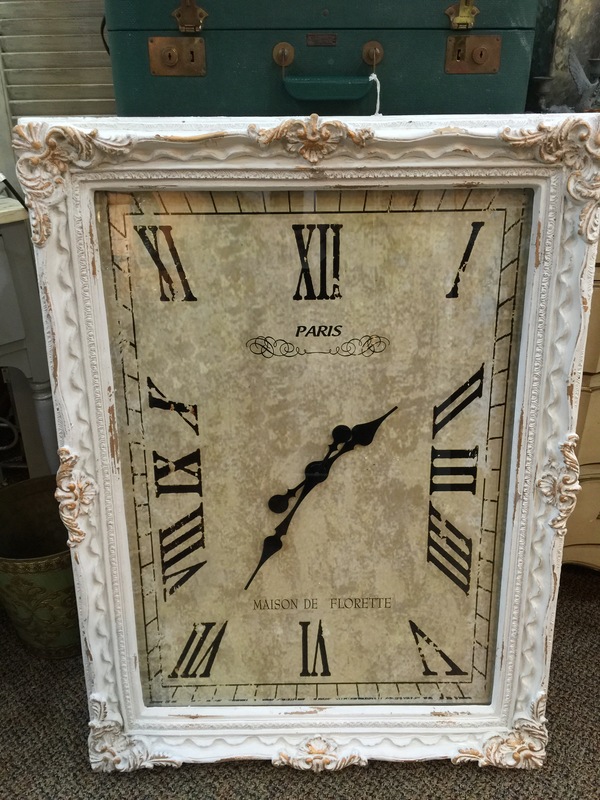 This one is big and beautiful and would look great in your home. 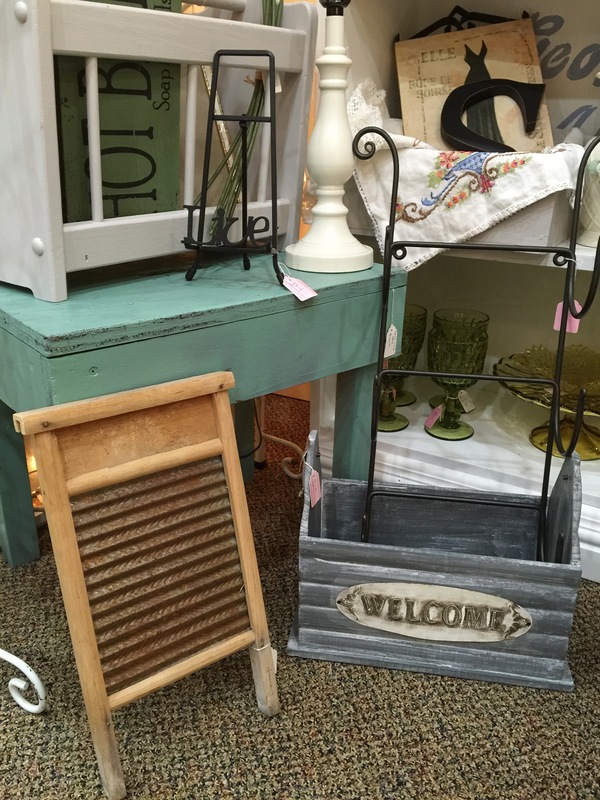 Add this vintage washboard to your laundry room and this small green bench would look cute on your front porch this spring! 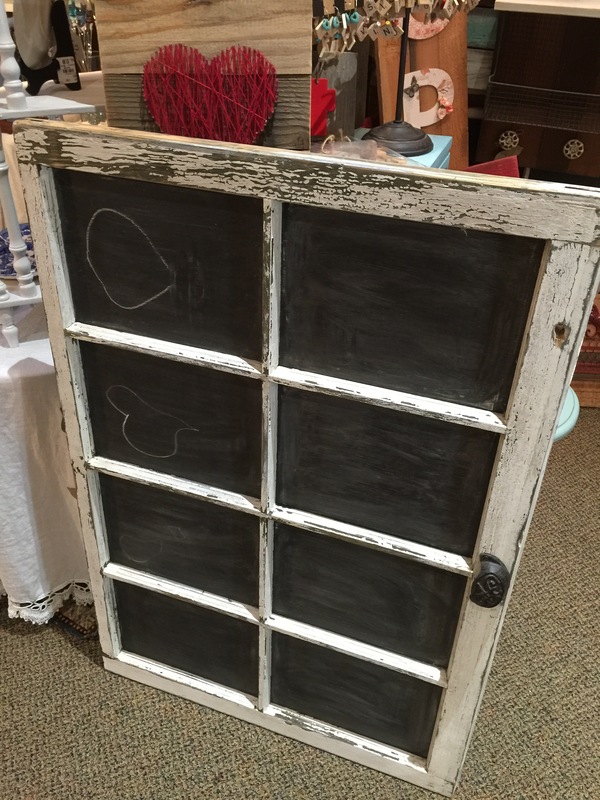 Stay organized with this chalkboard! Write each meal for the week or use it as a calendar to keep your schedules organized. 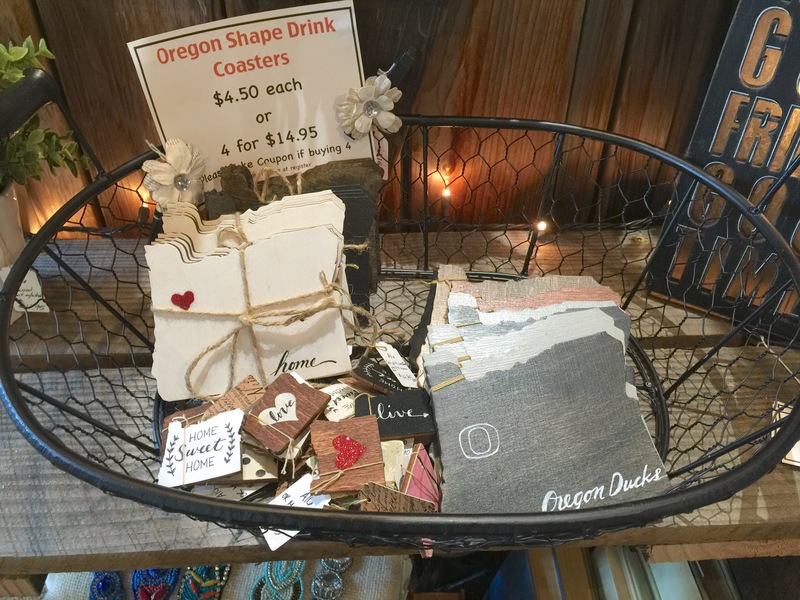 How fun are these coasters?! Show your love for your home state. Yellow is such a fun and vibrant color for spring. 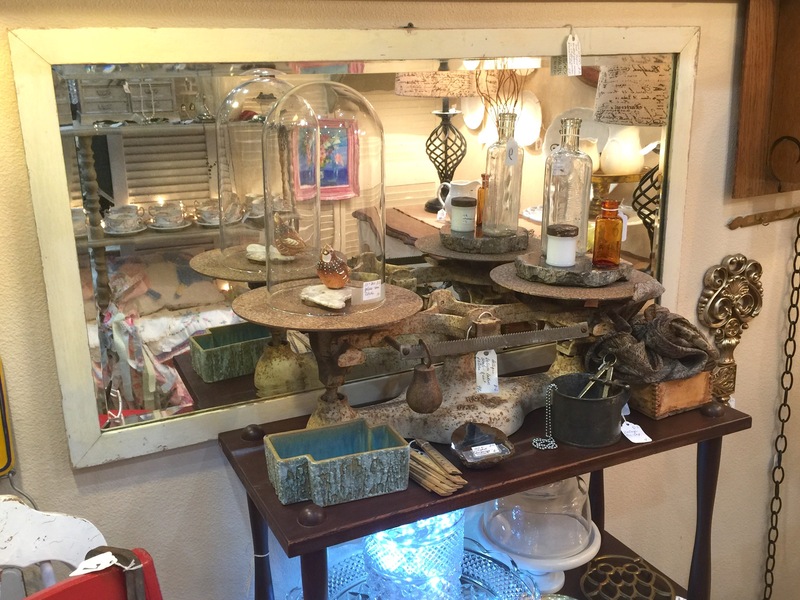 We have a whole section with yellow items so stop on by! 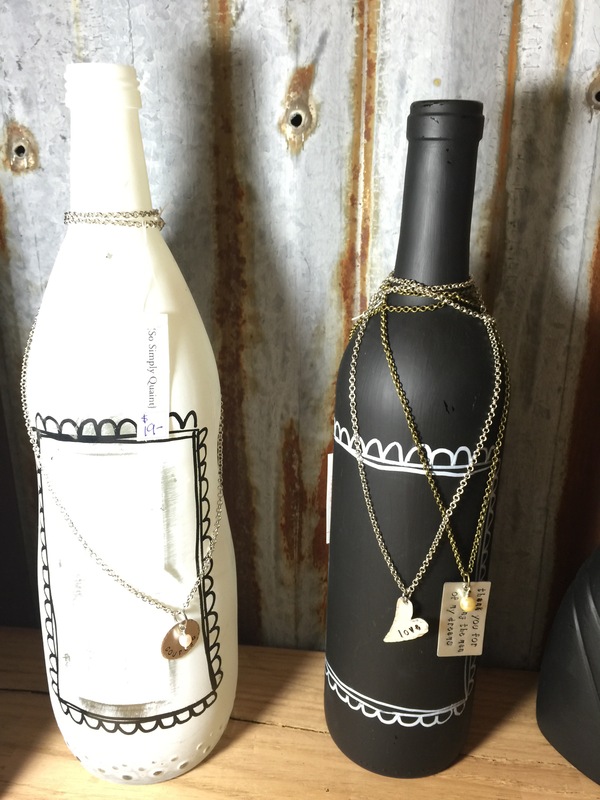 We have a few vendors who make some beautiful jewelry! 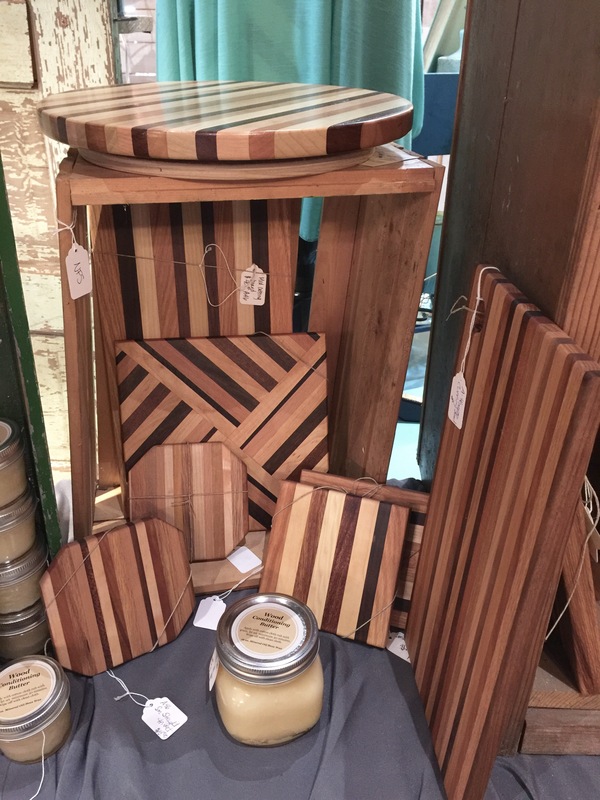 Great for gifts or get something to treat yourself. 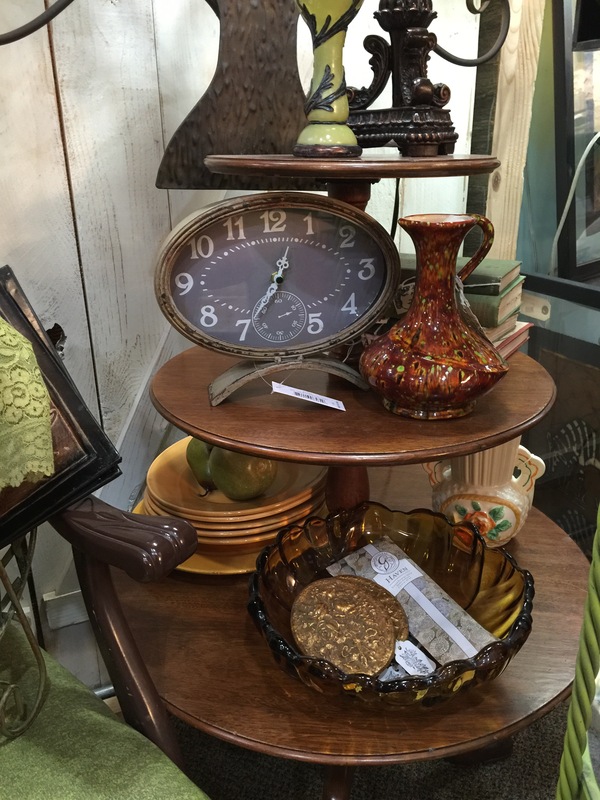 This small oval clock would be great on your shelf or part of a vignette on your buffet. 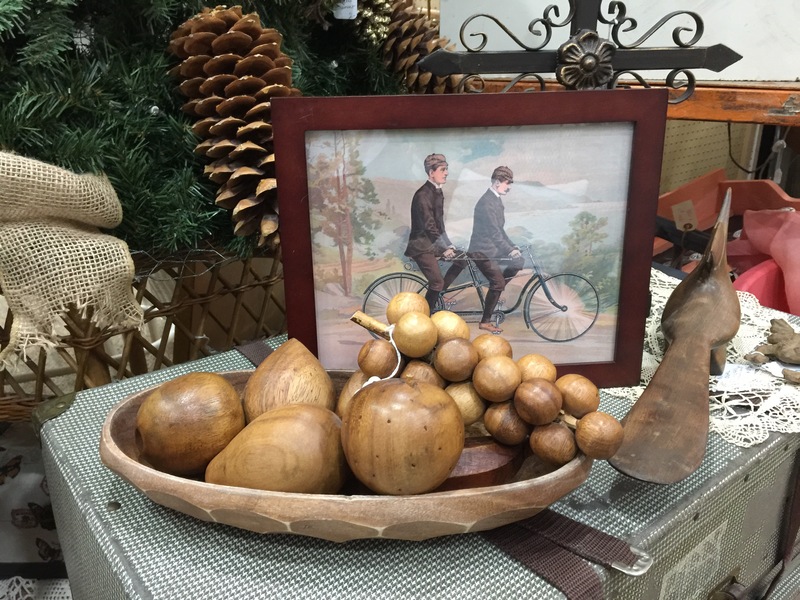 No you can’t eat this fruit but it would be cute as a centerpiece on your table! 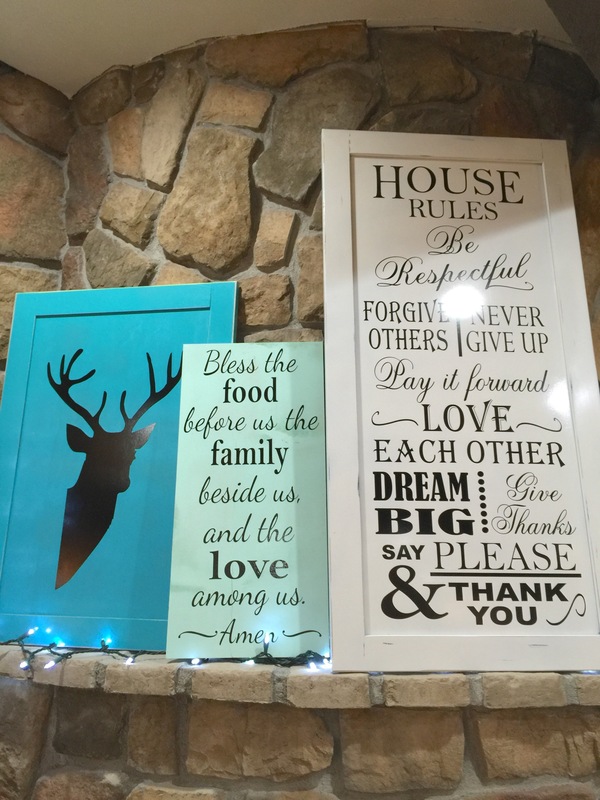 We have so many signs here at the store, you’re sure to find the perfect one for your home. 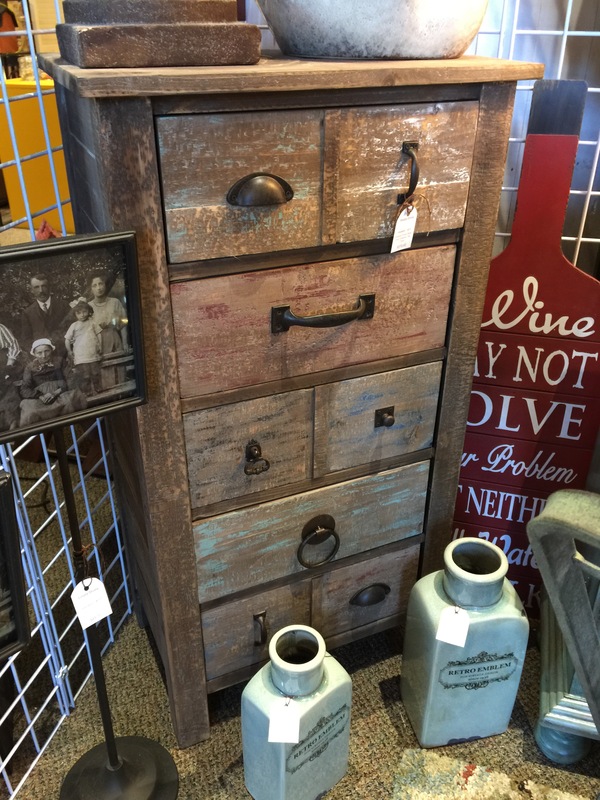 Are you going for an industrial look in your home? 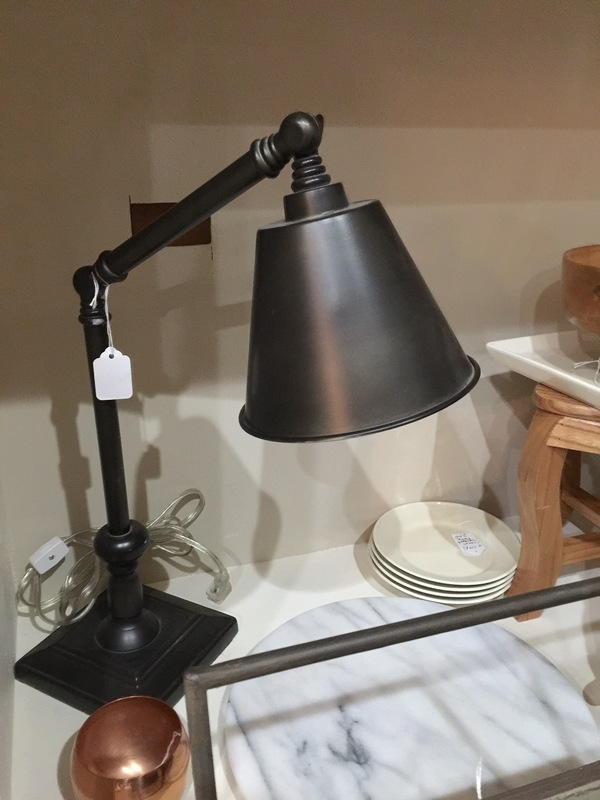 Then this lamp is just for you! Place it in your desk or on your buffet table. 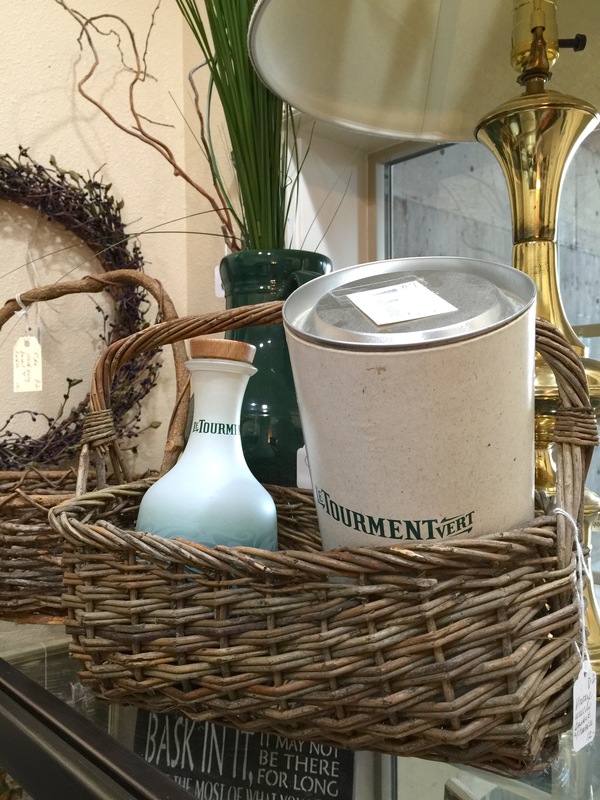 Baskets can be used so many different ways and we have plenty to choose from. Use them to hold blankets or pillows. 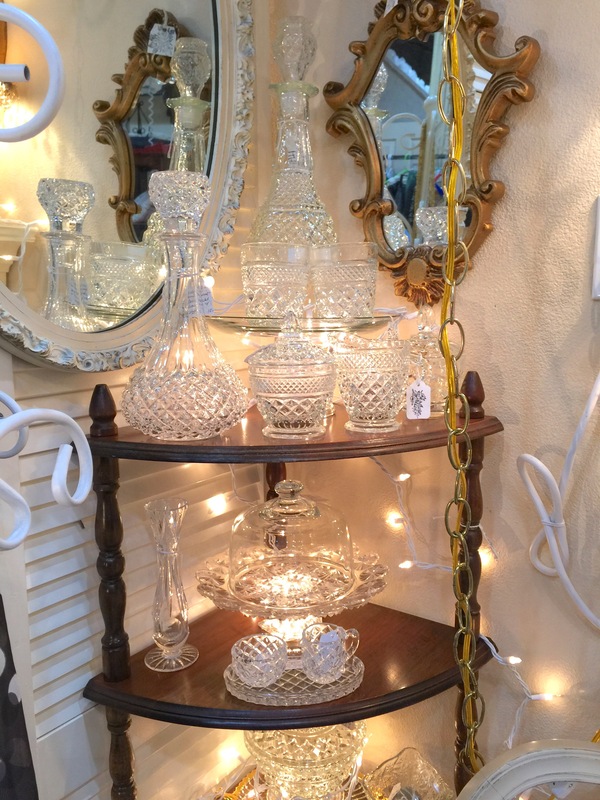 Put them on a cupboard or on a buffet and use it in your vignette. 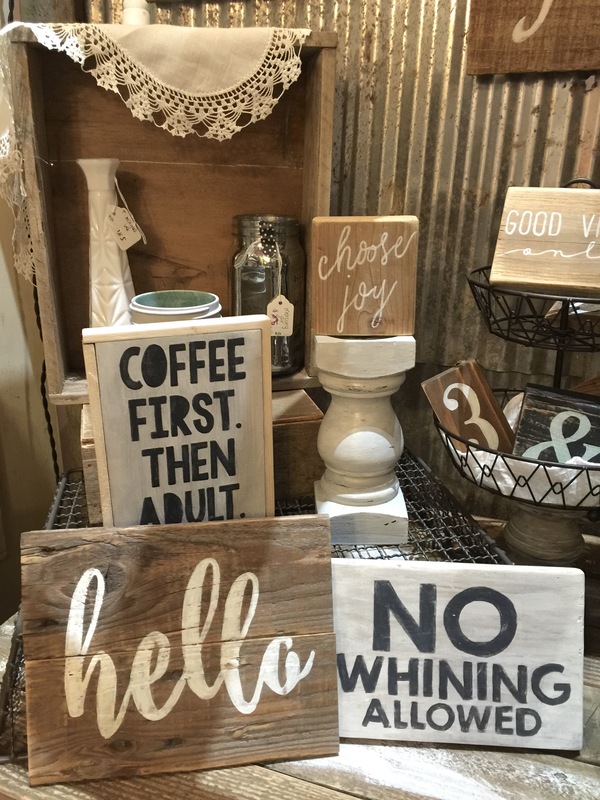 How fun are these wood signs?! 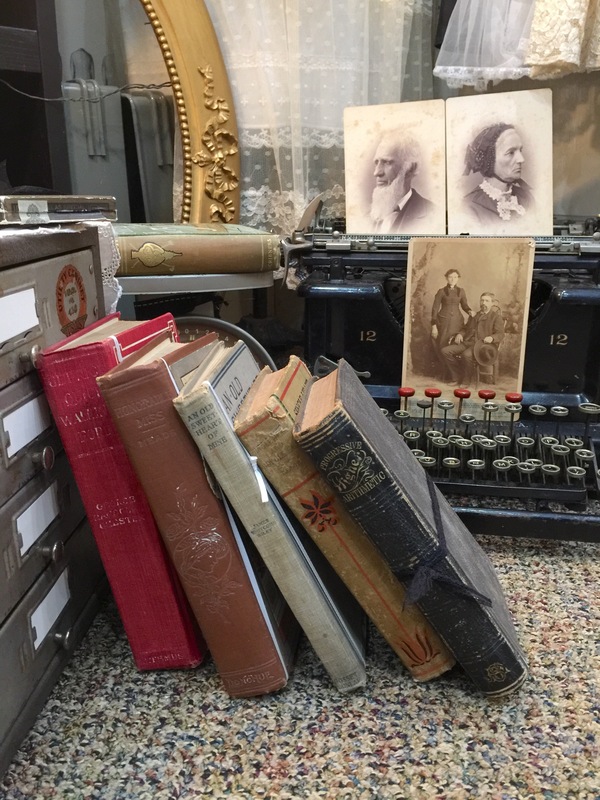 Give them as a gift for a friend and take them home and place them on your shelf. 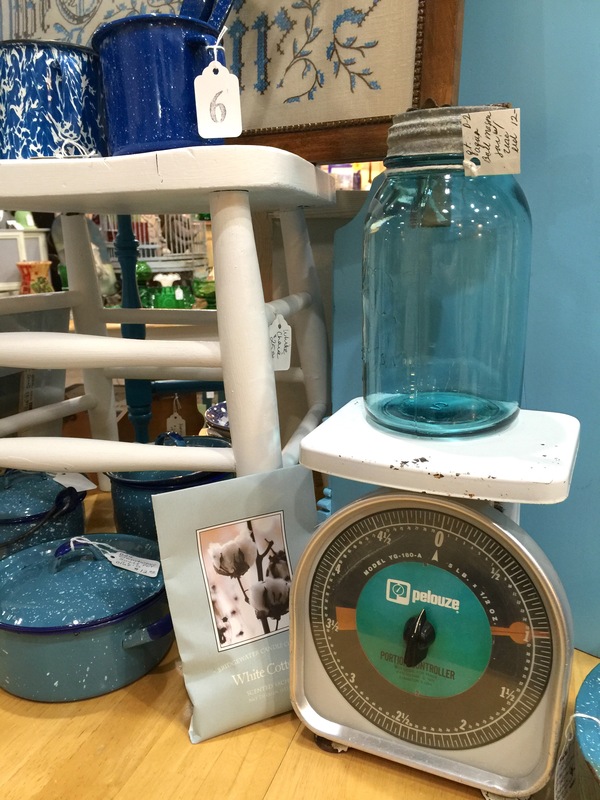 Vintage scales are such a fun item to out in your kitchen. 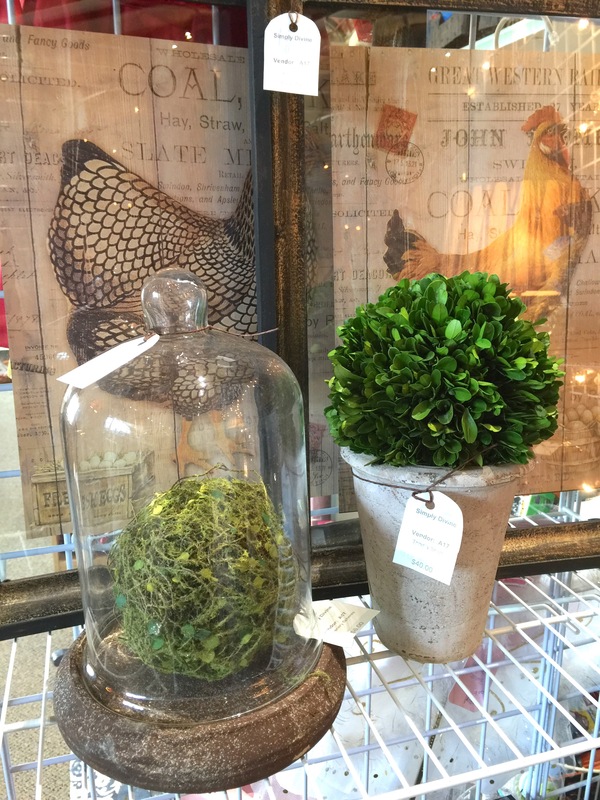 Place a faux plant on top and it’s perfect for spring. Do you love chickens? 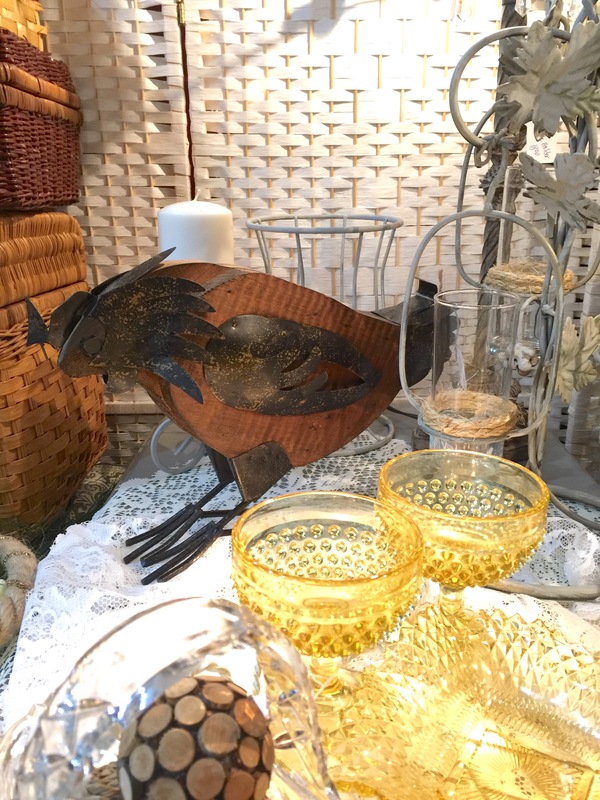 How cute is the wood and metal chicken! 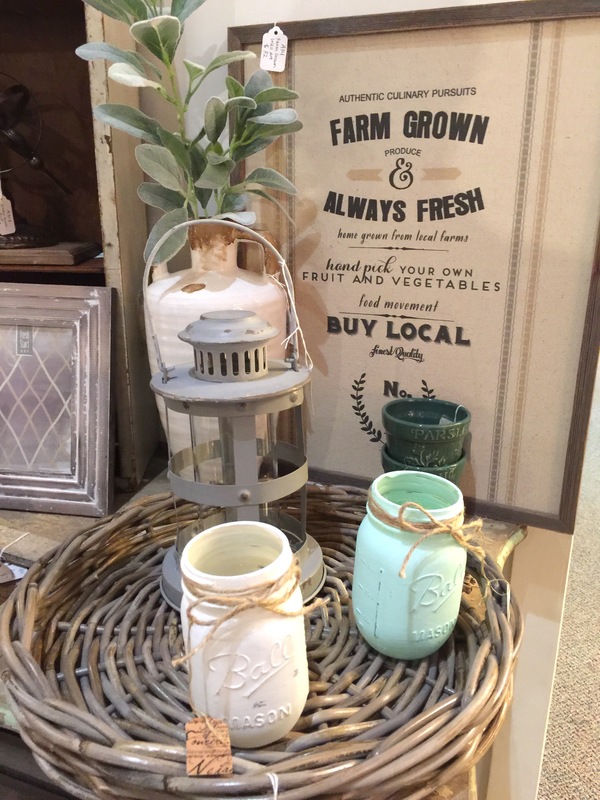 Is farmhouse style your thing? 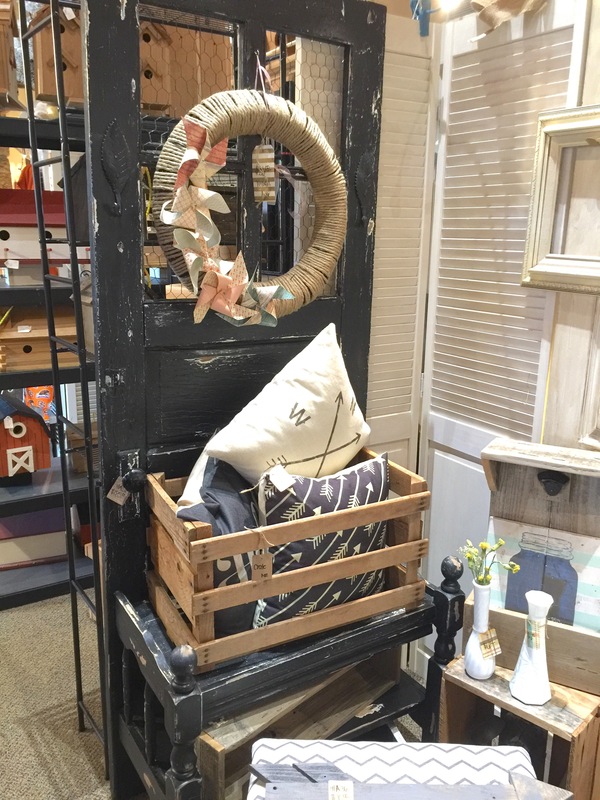 This bar cart would make such a great kitchen island or use it as a bar cart in your dining room. 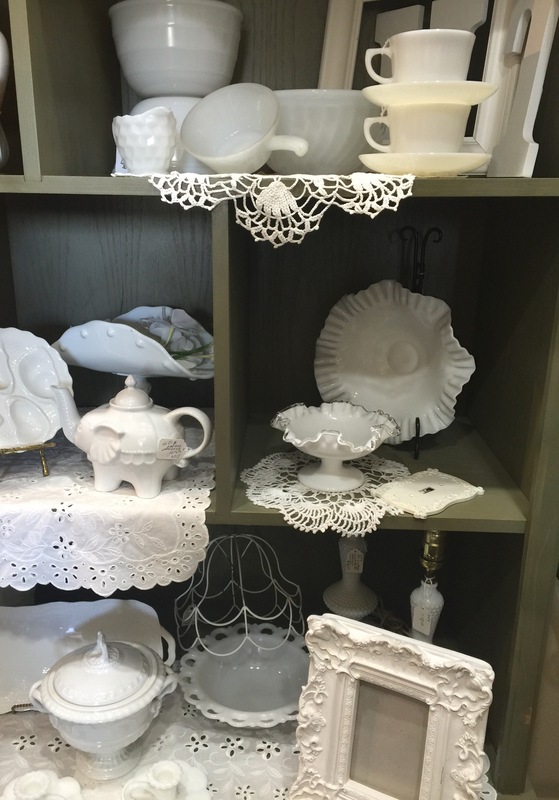 All these pieces would look gorgeous in your china hutch. They are beautiful! Happy weekend shoppers! We hope you are having a relaxing weekend. 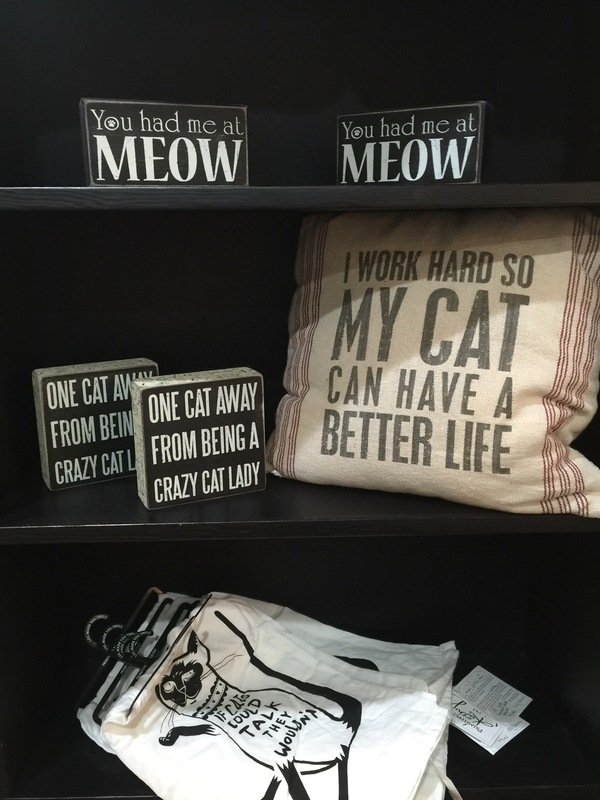 We showed you some cat lovers items last week and we now have dog lovers items! 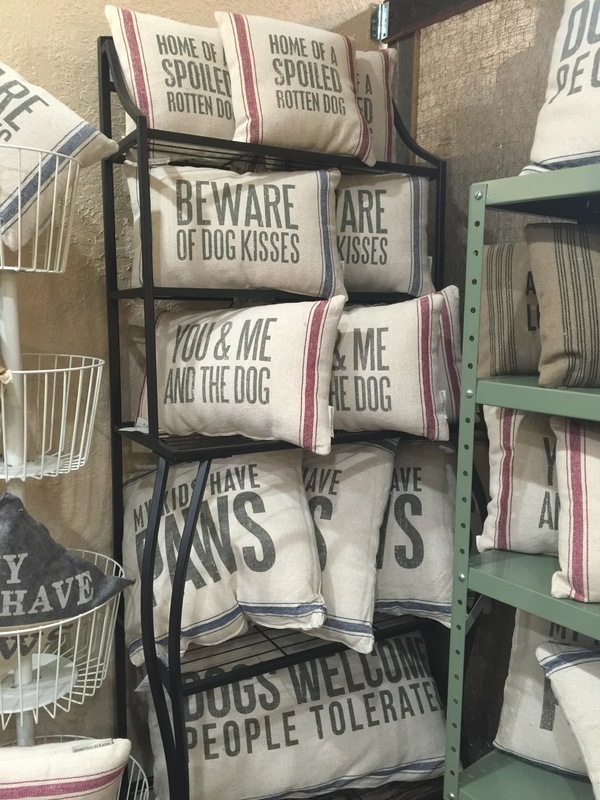 Stop on in and grab a pillow to show how much you love your furry friend. How about some vintage rolling pins? 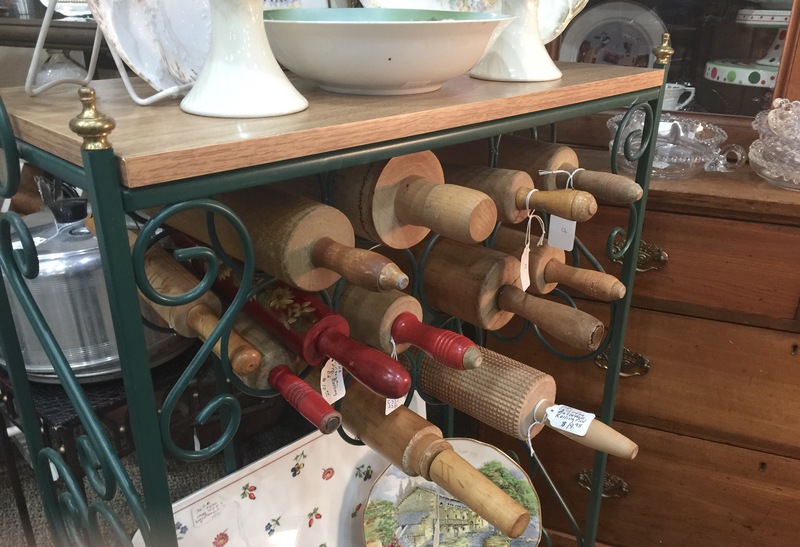 Place a few in a utensil holder and place in your kitchen to add some vintage flare. 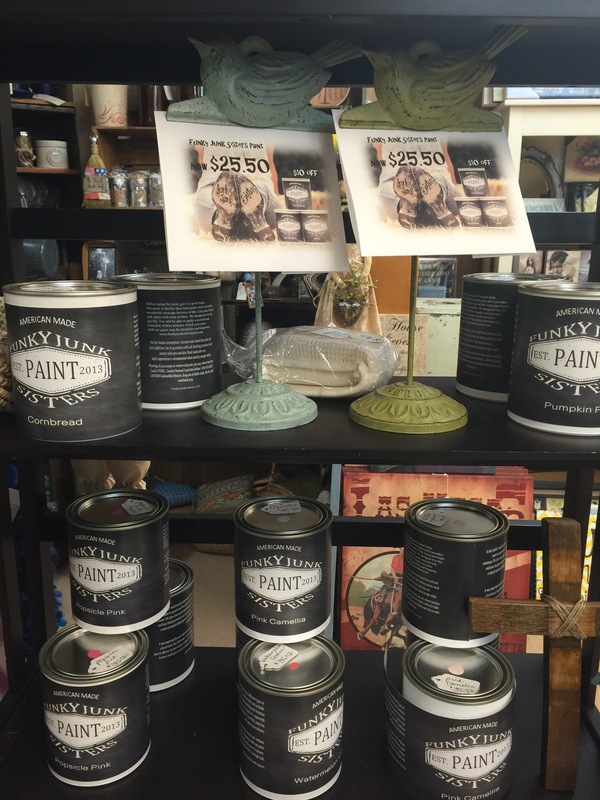 Don’t forget that we have paint for all your DIY projects! Lots of colors to choose from. 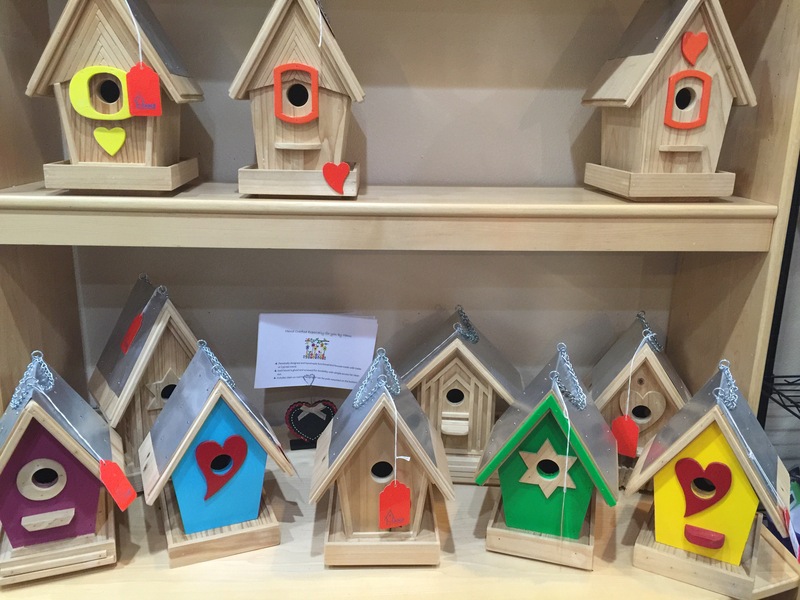 These birdhouse are so vibrant and would look great outside in your yard this spring. Getting married soon or hosting a party? 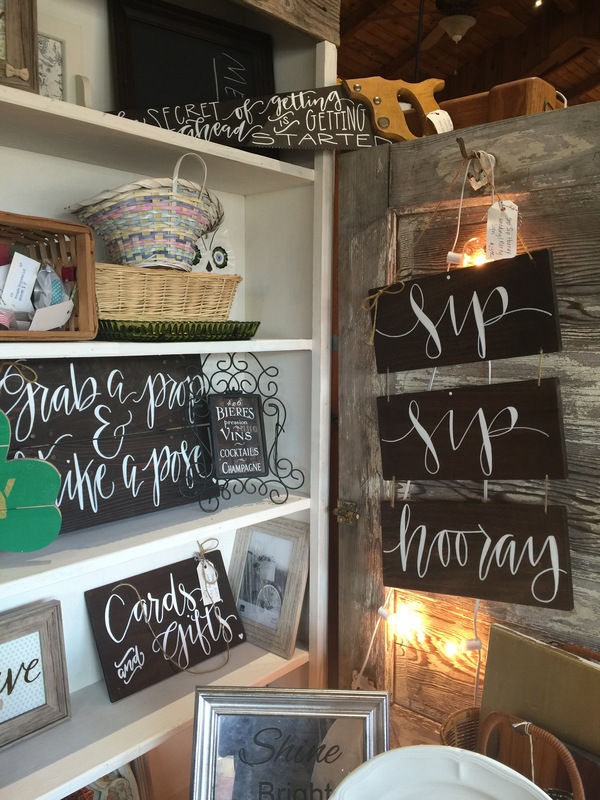 Come grab a cute handmade sign for your special event. 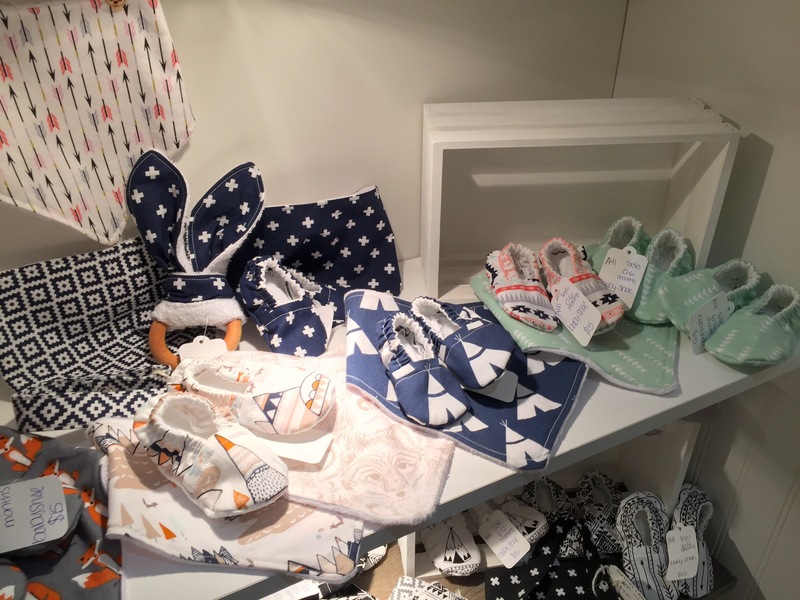 Know someone who is having a baby soon? 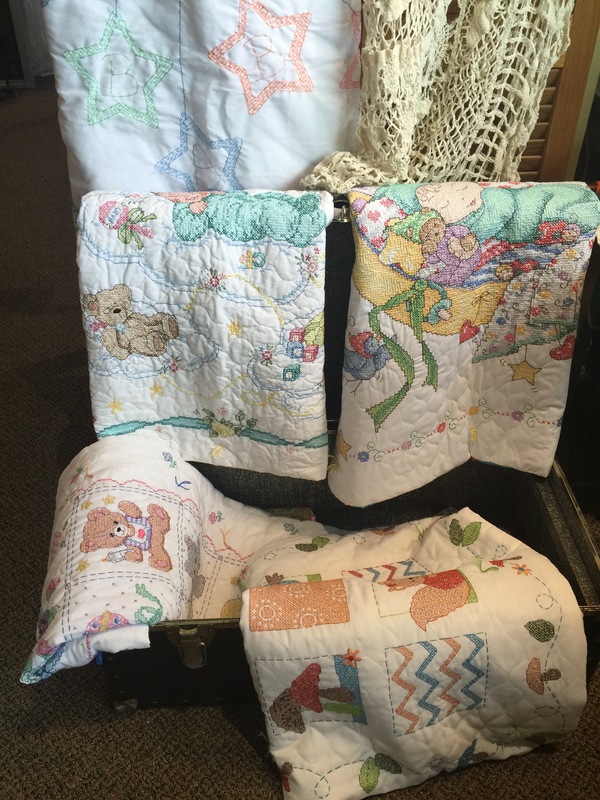 These would make a great baby gift! 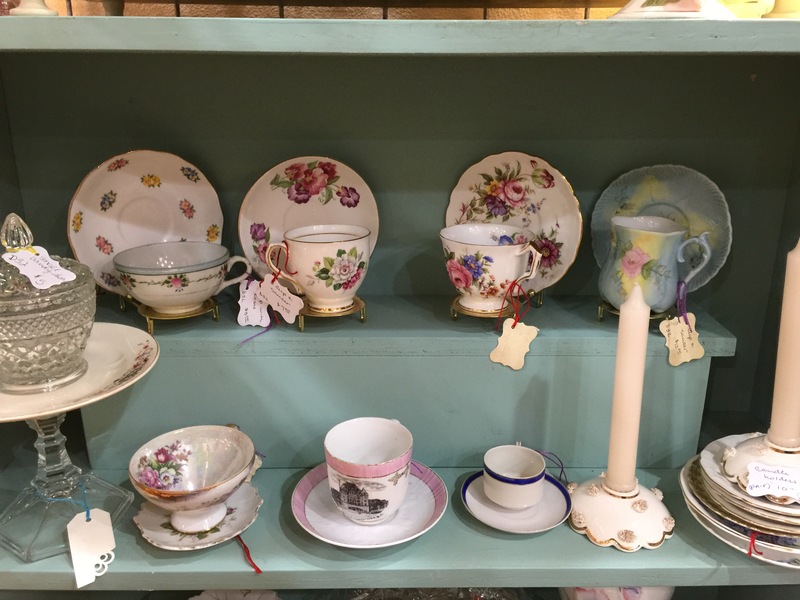 Looking for some items to fill up that beautiful china hutch? We have so much to choose from to fill up every inch! 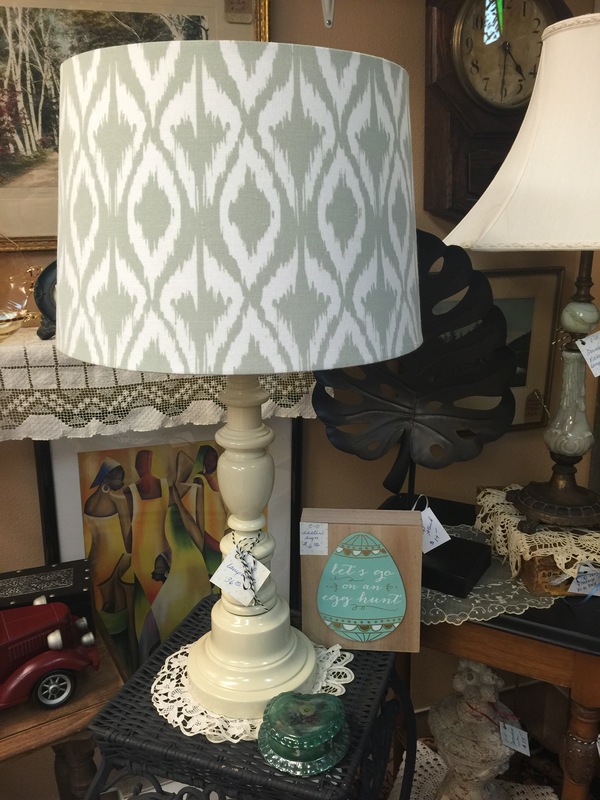 Love this pattern on this lamp! 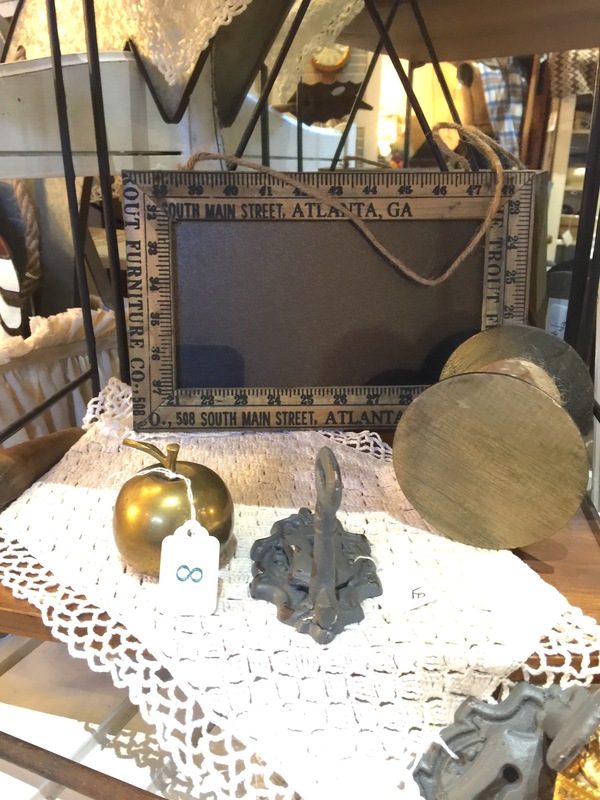 Great for your end table or place on your buffet table! It’s been a rainy day today but don’t let that stop you from shopping! 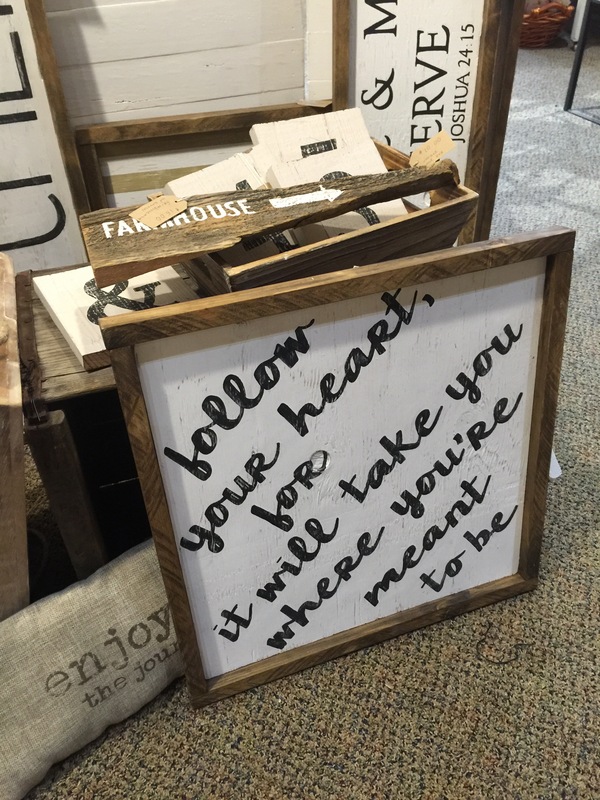 These rustic signs are great for any room in the house! Lots of quotes to choose from. 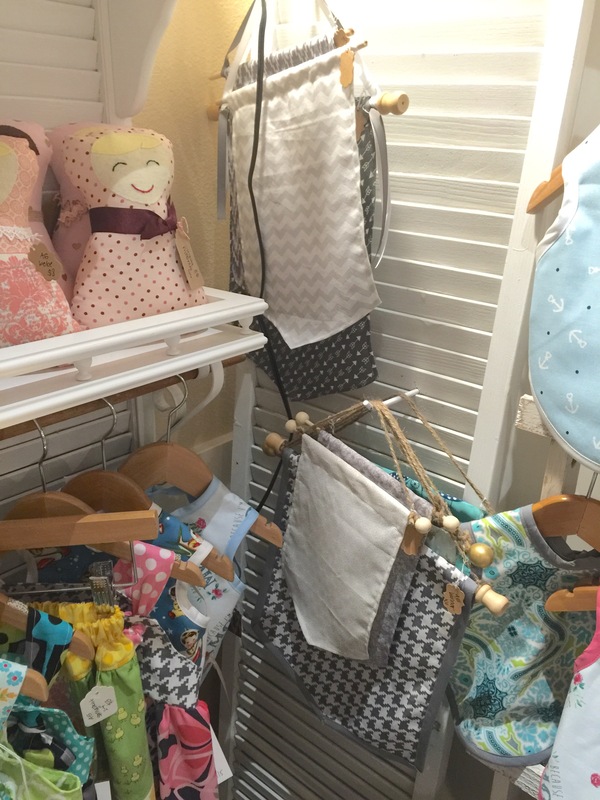 These small banners would look so cute hanging in your nursery. Such cute decor. 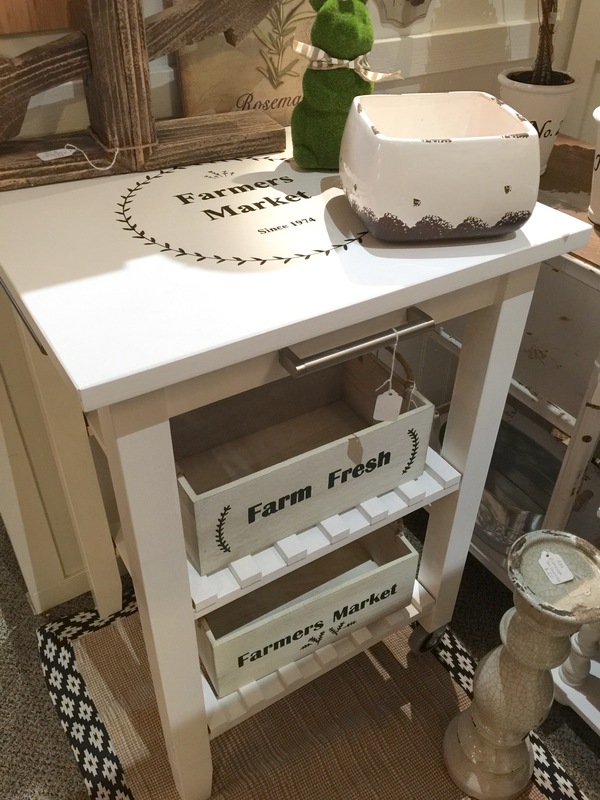 Use this white bench in your entryway, put it at your dining table for seating or place it in your bedroom. So versatile. 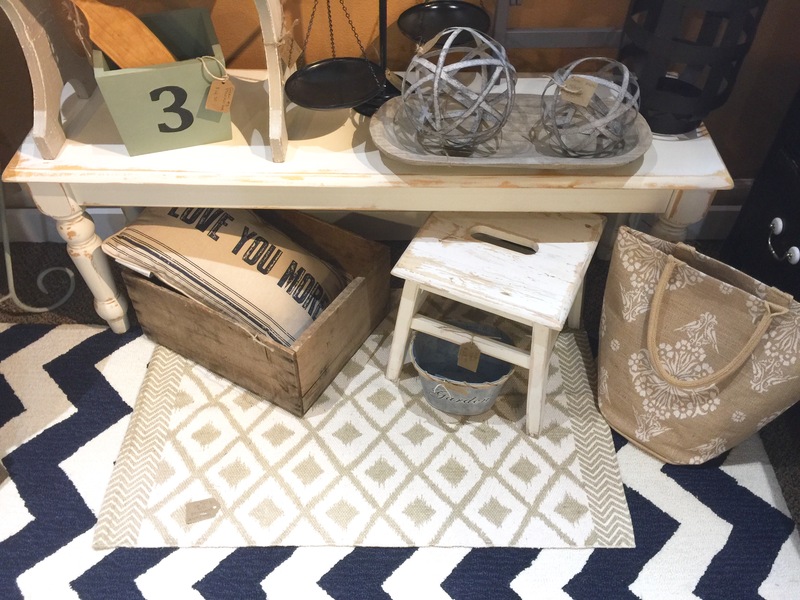 All these items would be great to display in your kids room. 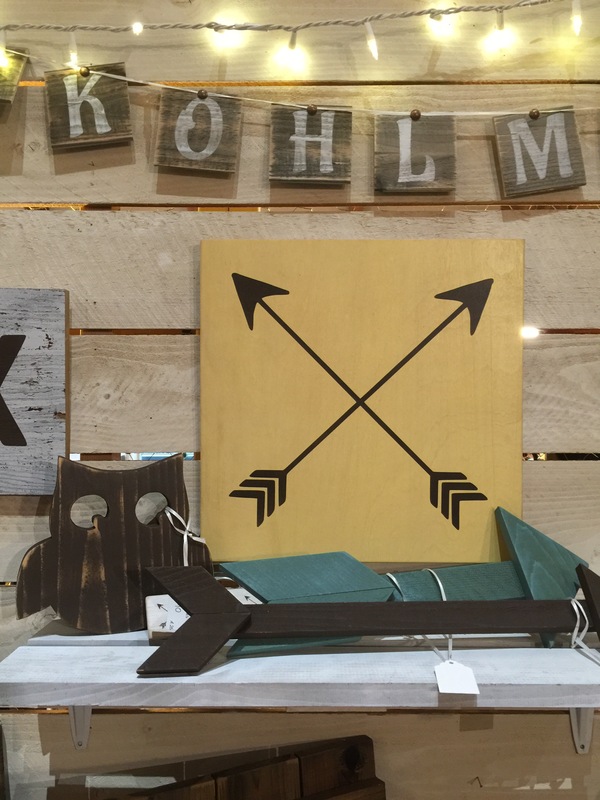 Place the arrows on a shelf or hang them on the wall. And add the sign to a gallery wall! We know there’s some cat lovers out there. 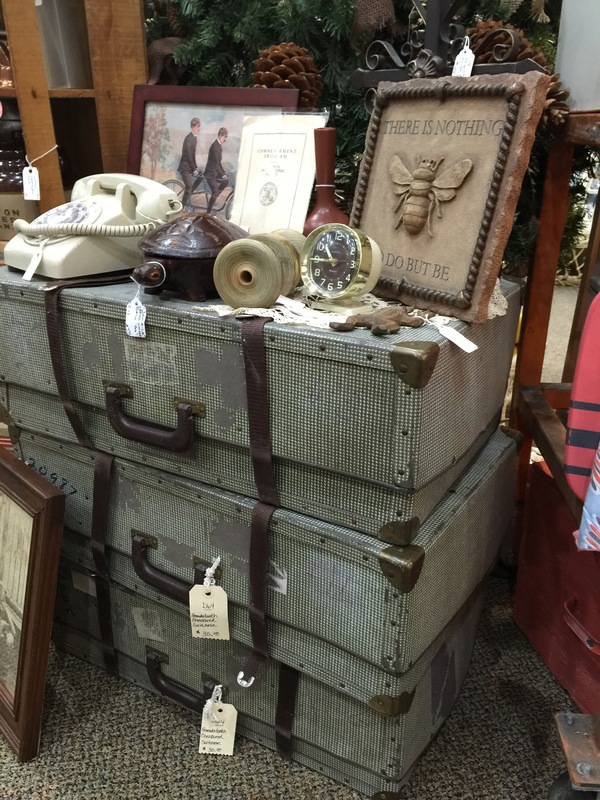 We’ve got some great items for you. 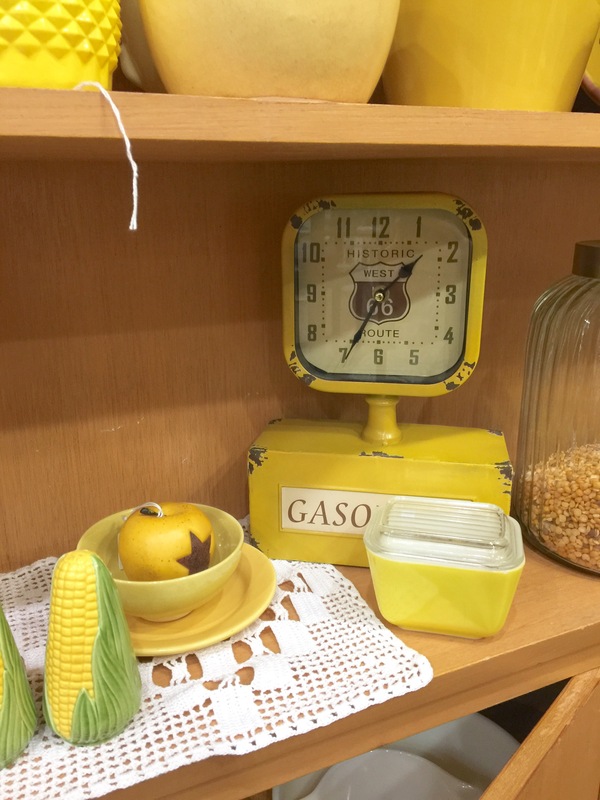 This vintage scale has so much character and would look great displayed in your kitchen. 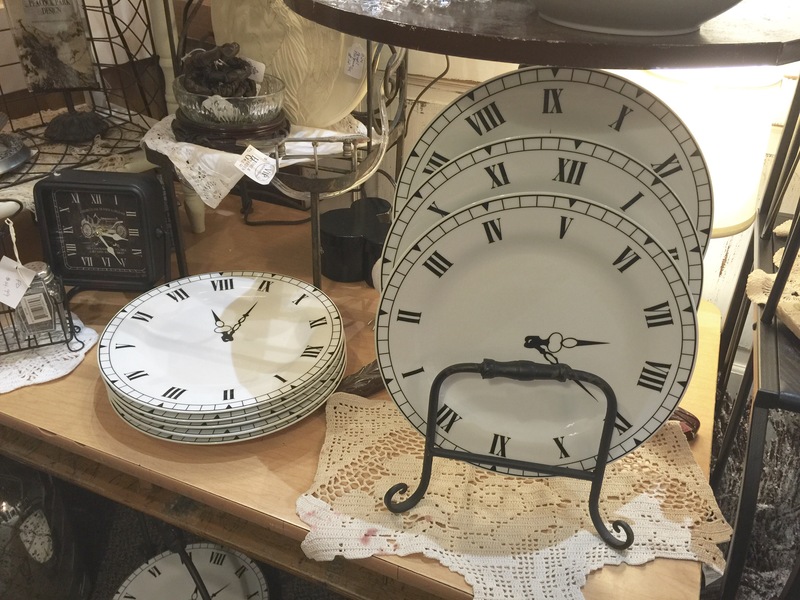 These clock plates are so fun and unique! You know you want them! 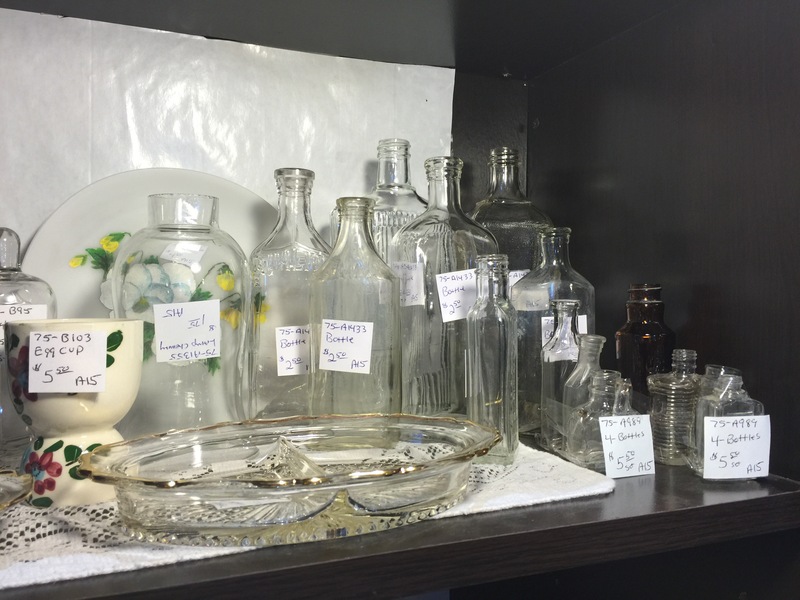 These old bottles would make a great centerpiece! 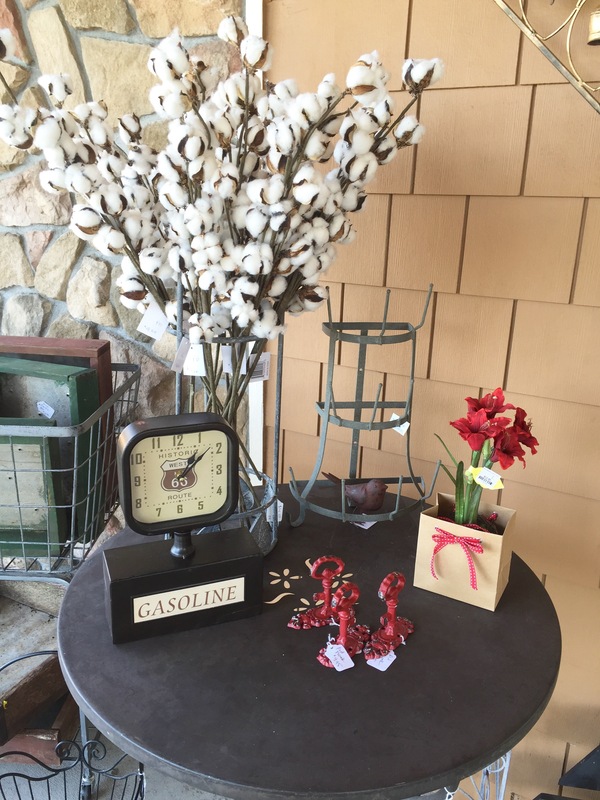 Just add one flower in each and you have a centerpiece fit for spring. 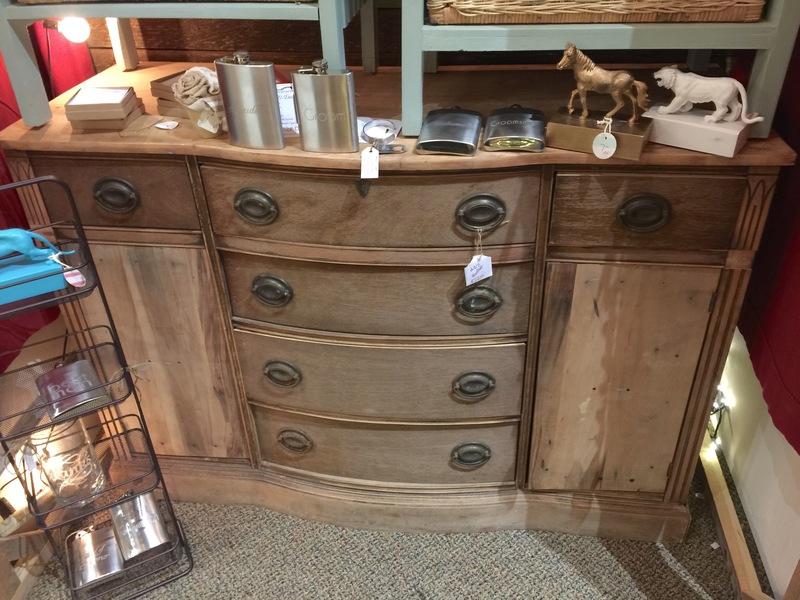 This dresser is so beautiful and is waiting for its new home. 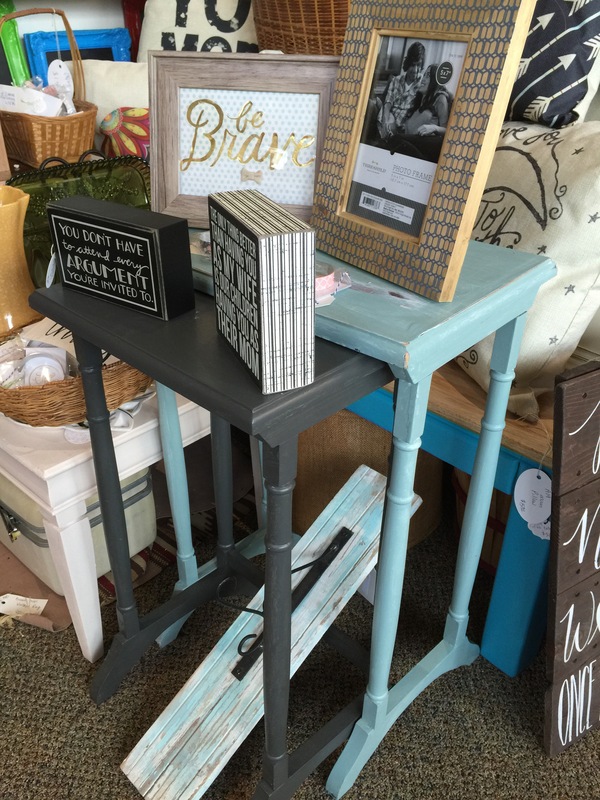 You can use is as an entryway table or a buffet table!